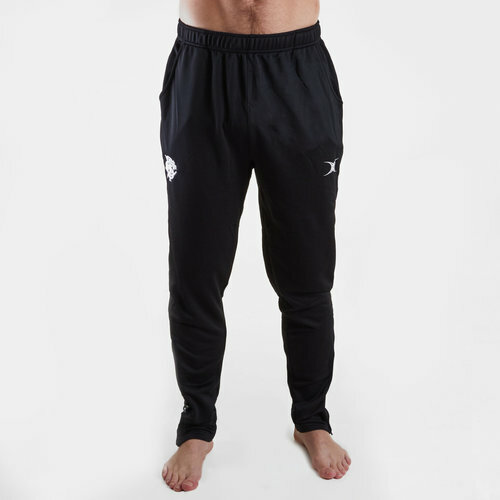 Cheer on the World’s most famous invitational rugby side when you pull on these Barbarians 2019 Players Rugby Training Pants from Gilbert. These training pants have been crafted in a modern, comfortable fit whilst providing air ventilation to keep the wearer cool. The 2 side pockets allow for items to be stored away safely whilst the elasticated waistband help create the desired fit similarly to the zips at the cuffs which also help for easy access during training.